Divers returned to the roaring Colorado River on Sunday in search of three people missing and presumed dead after a head-on boat crash along the California-Arizona border that injured nine people, two critically. The Mohave County Sheriff's Office said that they had found one of the missing boaters Monday morning. They identified her as Christi Lewis, 51 from California. The recreational boats — one carrying 10 people and another with six people on board— collided Saturday in Moabi Regional Park as darkness was falling on a rushing river crowded with holiday weekend boaters, making the rescue operation difficult. 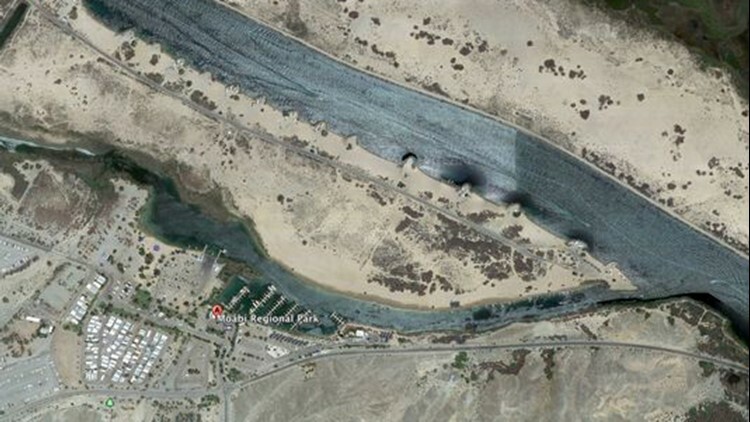 The search for two people "presumed submerged" was halted overnight, the San Bernardino County Fire District said in a statement. The search resumed Sunday, but authorities said the toll of missing had risen. Four people are still missing, three women and one man, according to Mohave County Sheriff Doug Schuster. Each boat had a mix of family and friends who were from out of the area. The search operation has shut down a two-mile area of the river, Schuster said. "Top water and shoreline searches have been conducted and continue to be conducted this point, in addition to dive operations that have been underway for several hours," he told reporters during a Sunday afternoon press conference. "These efforts will continue until all of those missing and unaccounted for have been located." No one on the boats was wearing a life vest, Schuster said. One person suffered life-threatening injuries and was flown by helicopter to a hospital in Las Vegas, about 120 miles north of the crash scene, fire district spokesman Eric Sherwin told USA TODAY. The crash was so violent that one of the boats sank and the other sustained major damage, fire officials said. Some of the people on board were thrown into the river while others jumped, Sherwin said. Sonar images of the sunken boat indicated that neither of the missing people were on board, he said. The water ranged in depth from very shallow to 30 feet, he said.